South Africa has lost close to 6 000 rhinoceroses to poaching since 2008. Illegal hunters, so-called rhino poachers, are after the mammal’s nasal appendage, the highly priced rhino horn. Besides being coveted as an ingredient in Traditional Asian Medicines (TAM), rhino horn has been elevated to a status symbol by wealthy consumers in Asian markets, who display their affluence through conspicuous consumption of luxury goods, including rare rhino horn. Horn is also used as an investment instrument, criminal currency, or as a gift to cement business relations. An arsenal of protective measures has achieved limited success in disrupting illicit flows of rhino horn from the bush to the market. My talk tackles two aspects that help to explain the resilience of the market. Firstly, rhino conservation has to be seen in the context of colonial, apartheid and neoliberal exploitation of local communities and indigenous peoples living in or adjacent to protected areas. Where locals were not displaced or evicted from their land, they lost hunting and land use rights and access to important cultural sites such as burial grounds. Green land grabs and the systematic exclusion of local people from protected areas, as well as the growing securitisation of anti-poaching responses, are aiding the perception that the wild animal is valued higher than black rural lives. As a consequence, conservators and law enforcers are viewed with disdain and struggle to obtain cooperation at the grassroots level. Rendering a live rhino more valuable than a dead one to local communities should be a crucial aspect of protective efforts. Secondly, rhino traffickers employ grey routes from the bush to the market. While the dominant narrative points towards the entry of transnational organized crime (see for example Milliken 2014; Montesh 2013; Rademeyer 2016) as a key driver of illegal wildlife trade and connector between the bush and the market, such analyses remain silent on the role of the ‘legal’ wildlife industry in distribution and trade. I will introduce the notion of “embedded markets”, which refers to the overlapping features of related markets. Markets for hunting rights, live animals, art objects, health and medicines, transportation, and others are an integral part of the illicit rhino horn economy. The instrumentalization of legal or grey markets along transnational supply chains renders regulation and disruption a complicated multisectoral enterprise. Milliken, Tom, 2014: Illegal trade in ivory and rhino horn: An assessment report to improve law enforcement under the Wildlife TRAPS Project USAID and TRAFFIC. Montesh, Moses, 2013: Rhino poaching: A new form of organised crime: UNISA. 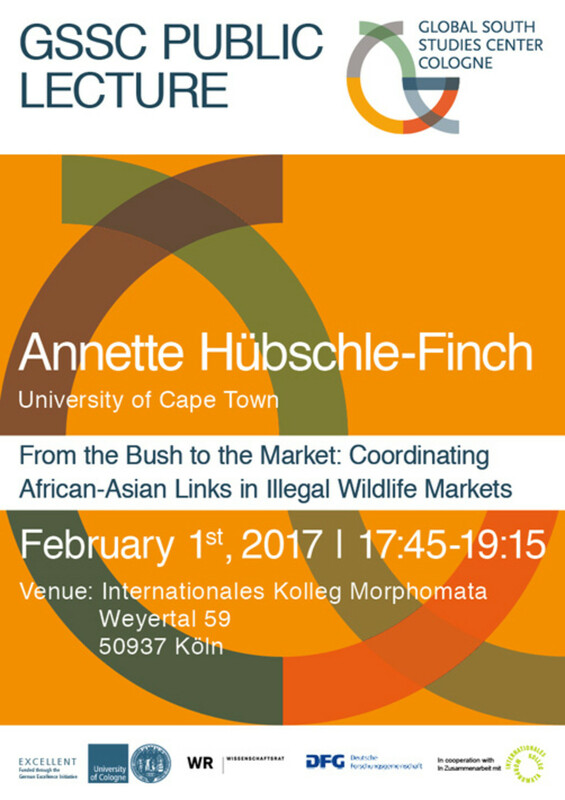 Rademeyer, Julian, 2016: Tipping point: Transnational organized crime and the 'war' on poaching. Geneva: Global Initiative against Transnational Organized Crime.